Your online web presence is important and Northwoods Web Designs takes pride in providing that for you. We not only design new websites but provide web hosting to assure the website is accessible worldwide with a 99.9% uptime guarantee. We offer plans for individuals and small businesses that include ample storage , bandwidth traffic and website analytics. To get the most out of your website presence, we highly recommend combining one of our hosting plans with our value added website maintenance & security plan. What is the difference and why are both neccessary? - Web hosting assures the server your website is hosted on has appropriate storage and bandwidth necessary, and is operating properly and securely. - Website maintenance & security plans removes the stress of making sure your actual website is protected, maintained, backed up, secure and stays optimized. Learn more about our valued added service on our Maintenance +Security Plan page. 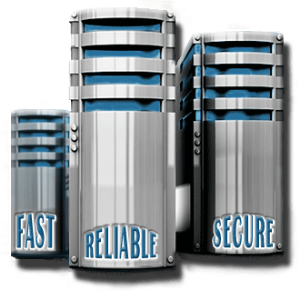 We offer several hosting plans for that added flexibility. Combine with our Website Care (maintenance+security) Plans to your hosting today for the total package and peace of mind. View our Website Care Plans. "Why you should host with us"
Below are just some of the reasons why hosting with NWD is the right choice. We're not a big-box-corporate hosting company that puts your website on the same server as 1000's of other sites which invite vulnerabilities, poor performance of site or worst case, loss of website. Only Northwoods Web Designs customers get hosted on our servers. For the best performance, reliability and security we only use enterprise hardware with Xeon Processors, ECC Memory and SSD-Accelerated RAID-10 storage arrays. Are you switching from another provider? We'll help you transfer your entire website over to your new hosting account with us absolutely free if the system requirements are met! Northwoods Web Designs provides personable, quality and affordable services to small and medium sized businesses and organizations. We "go the extra mile" by offering managed hosting services to allow you to focus on your business without worrying about the IT side of your website. We take care of all hosting account aspects including making email account changes, DNS management, spam filters, managing domains and redirects. All hosting accounts are powered by cPanel control panel, the most advanced and easy to use managing tool to give you full control over your hosting experience. For those more technical clients that like to take a little more control, its now easy. We offer many plans to choose from to meet your needs and popularity of your website. You can always upgrade anytime, including purchasing additional storage or bandwidth for your increased traffic with your current plan. Giving you the flexibility of only paying for what you need and use. A lot of promises are made out there. But not everyone delivers. This makes it difficult to find a good hosting company or web developer that is reliable and trustworthy. We are a local United States business doing our utmost to provide you with a great service with no gimmicks or enticing low hanging fruit to get you to sign up or buy. We offer straight forward pricing, fast email support and a solid hosting platform for exceptional server uptime, speed & reliability so your website performs well for web visitors. We don't raise rates when its time for renewal like others do. In fact, we guarantee no rise in rates for 5 years, at minimum, when you sign up today.